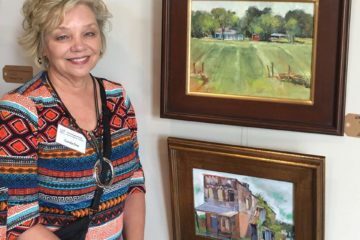 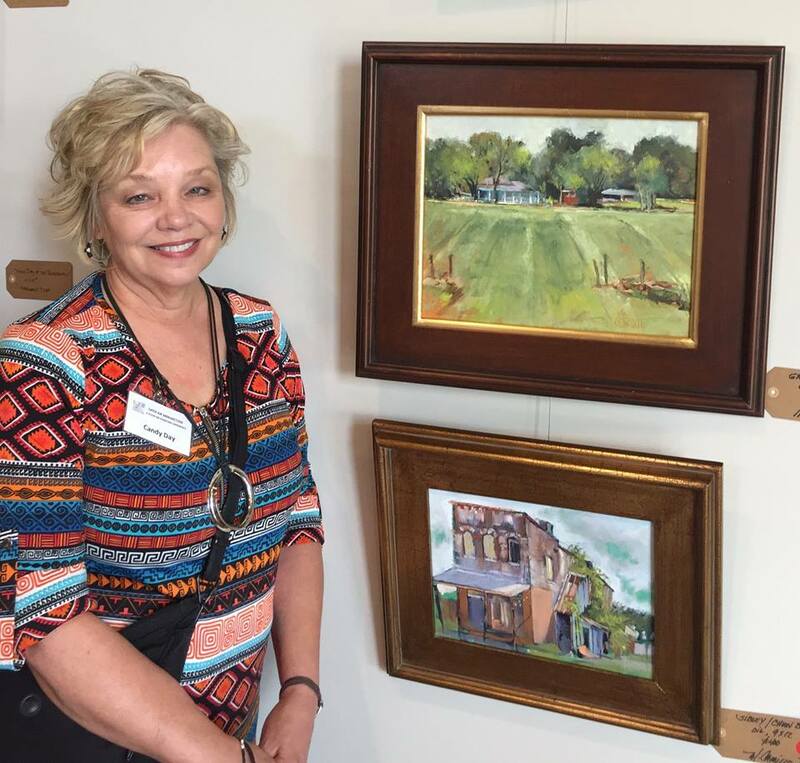 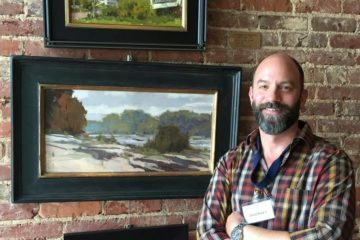 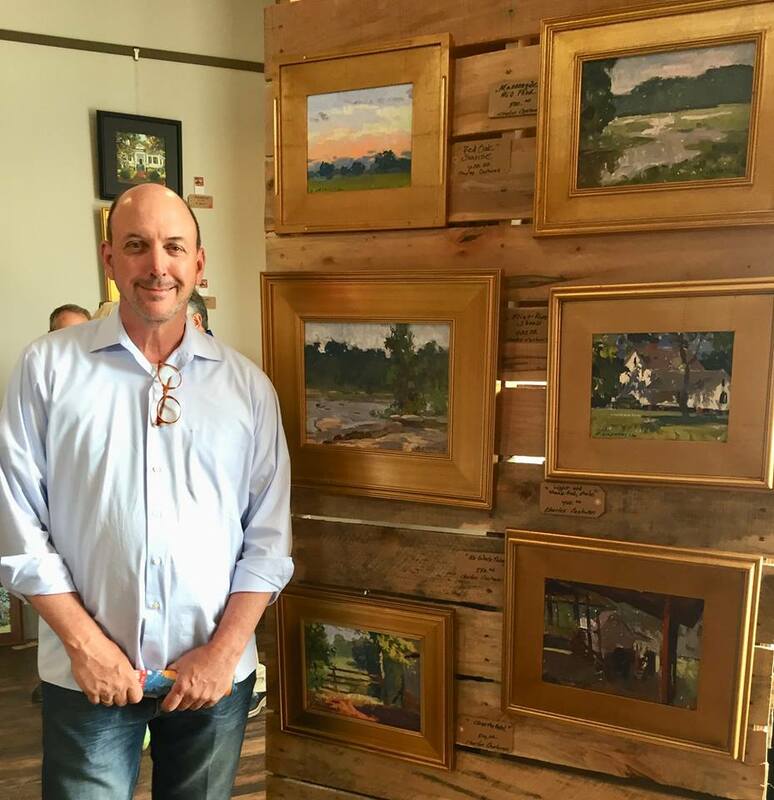 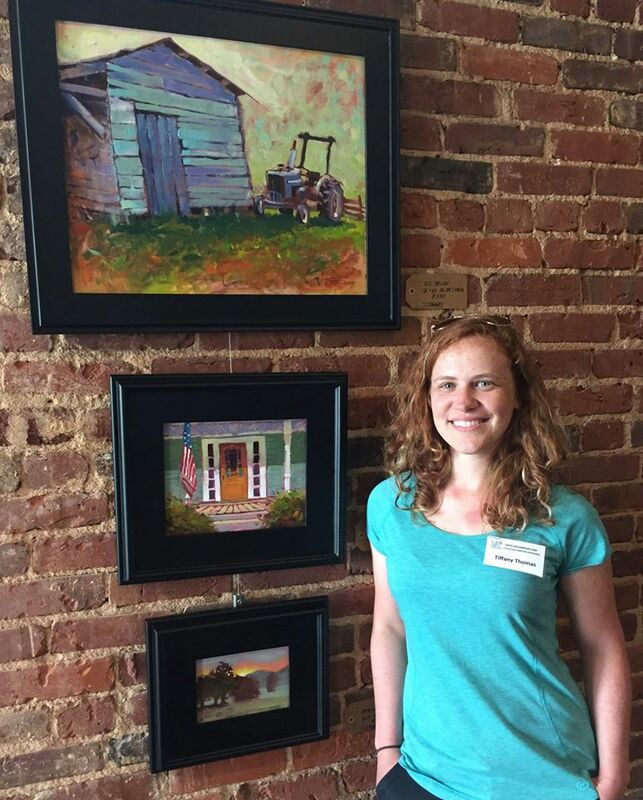 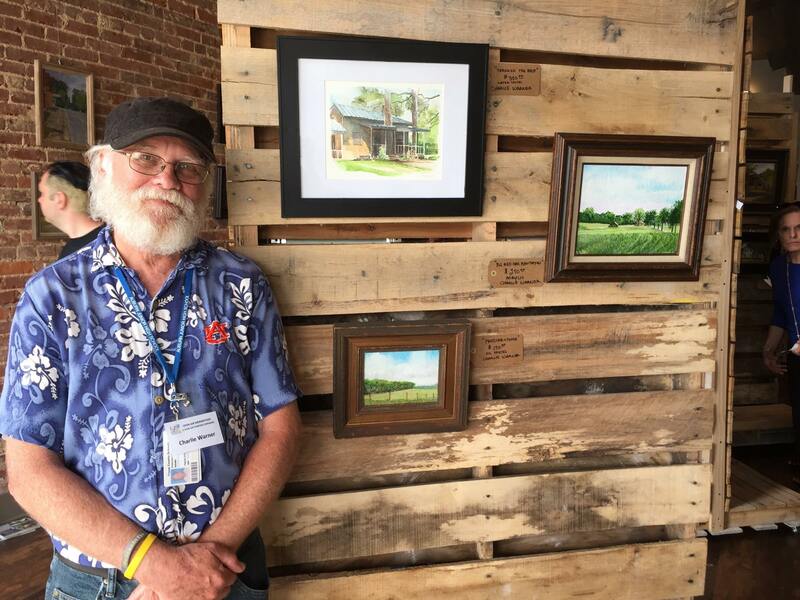 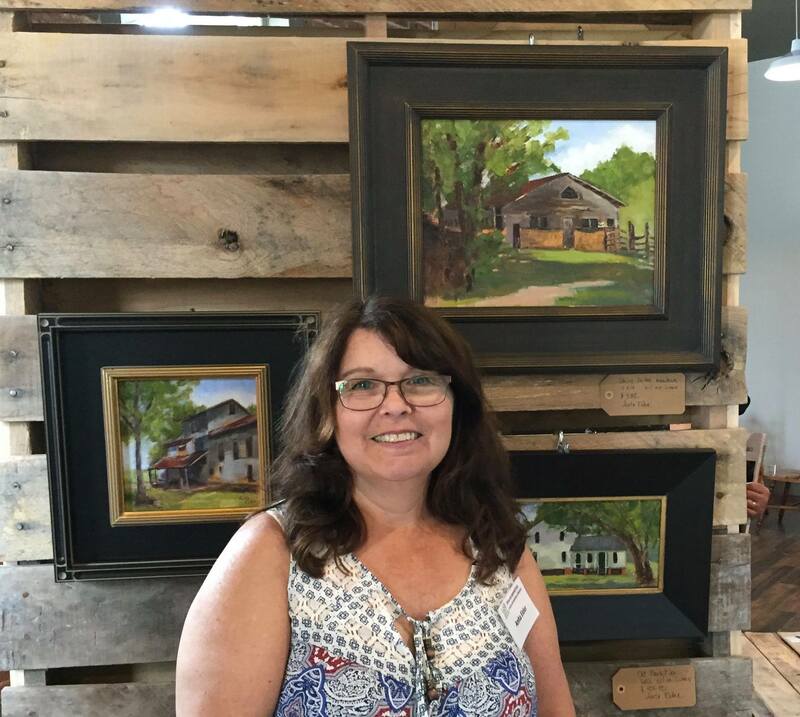 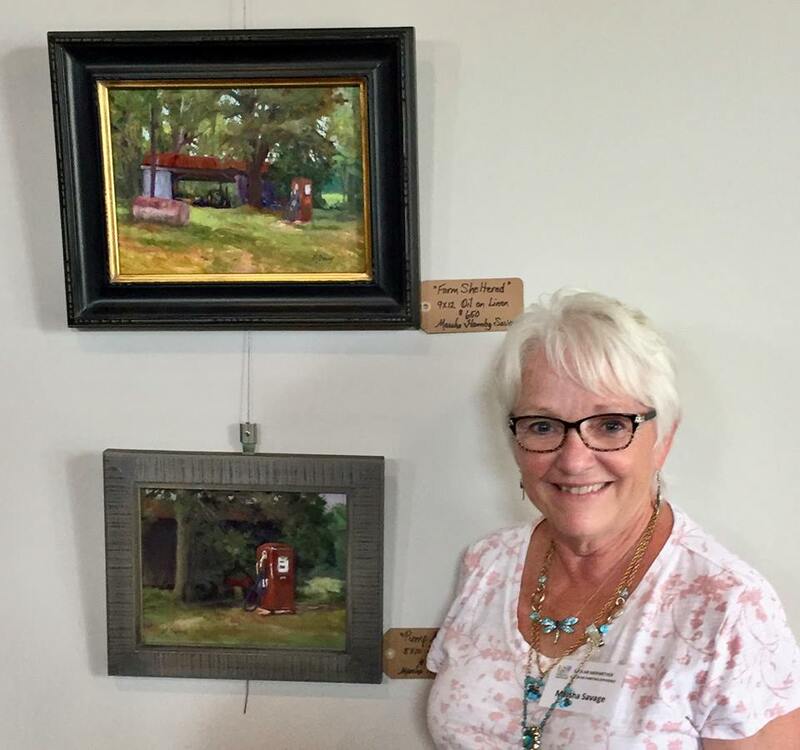 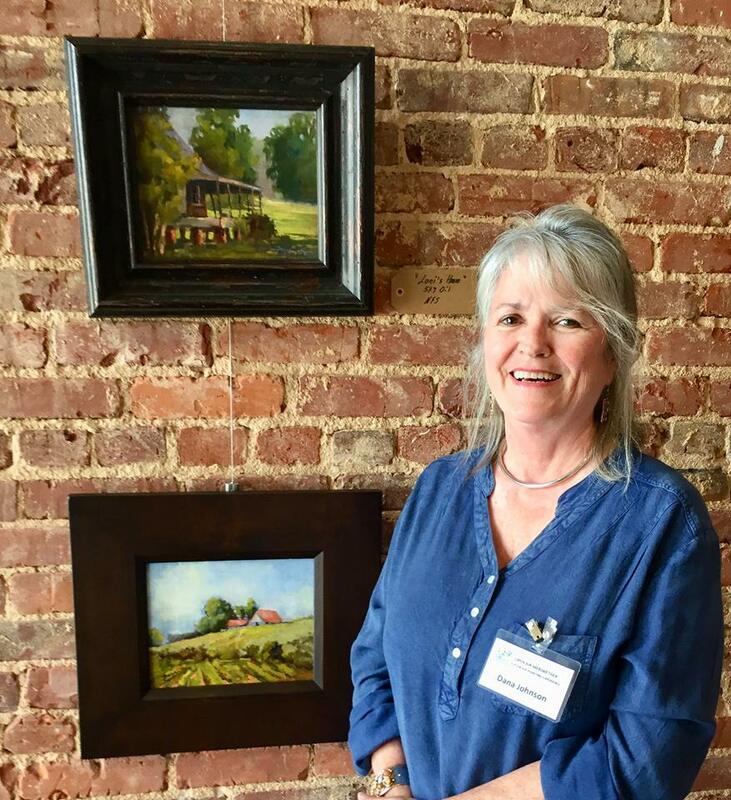 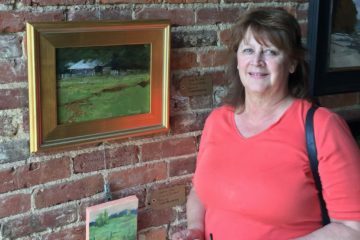 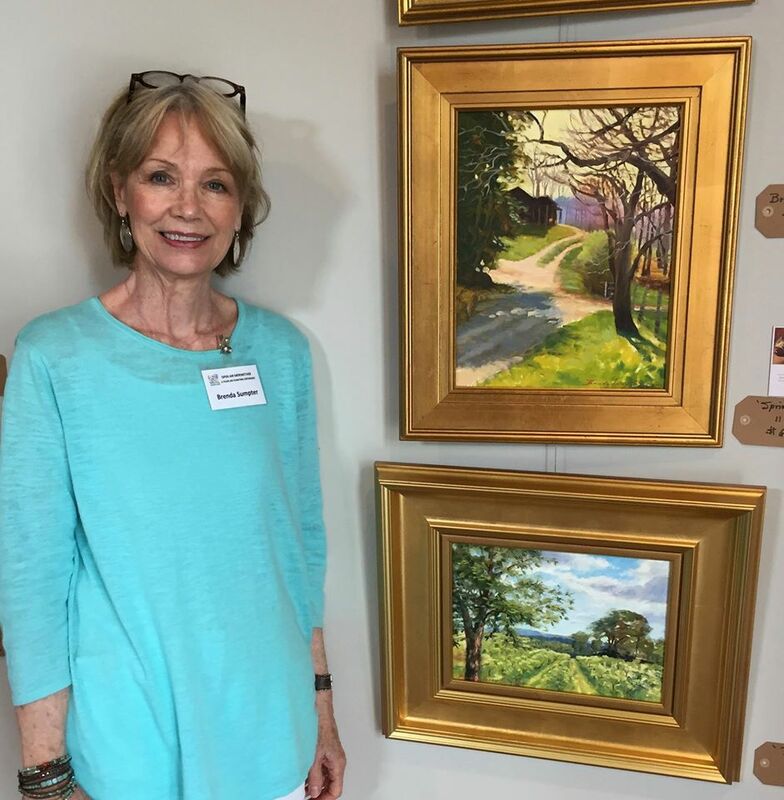 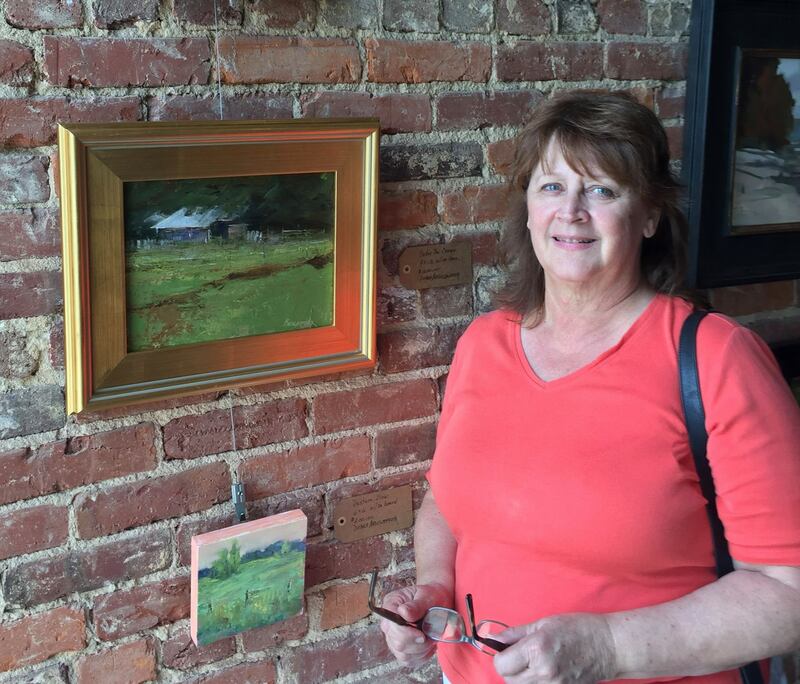 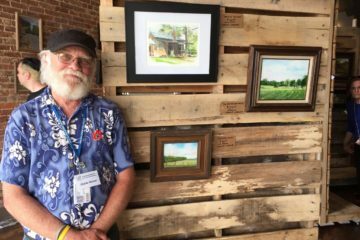 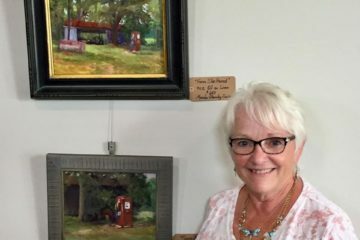 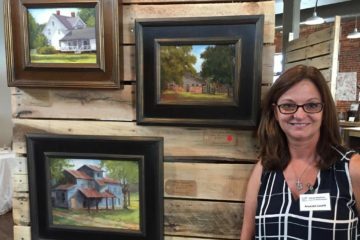 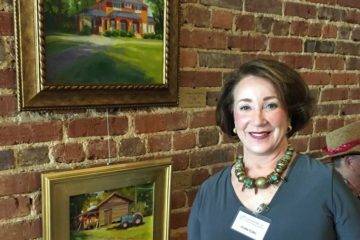 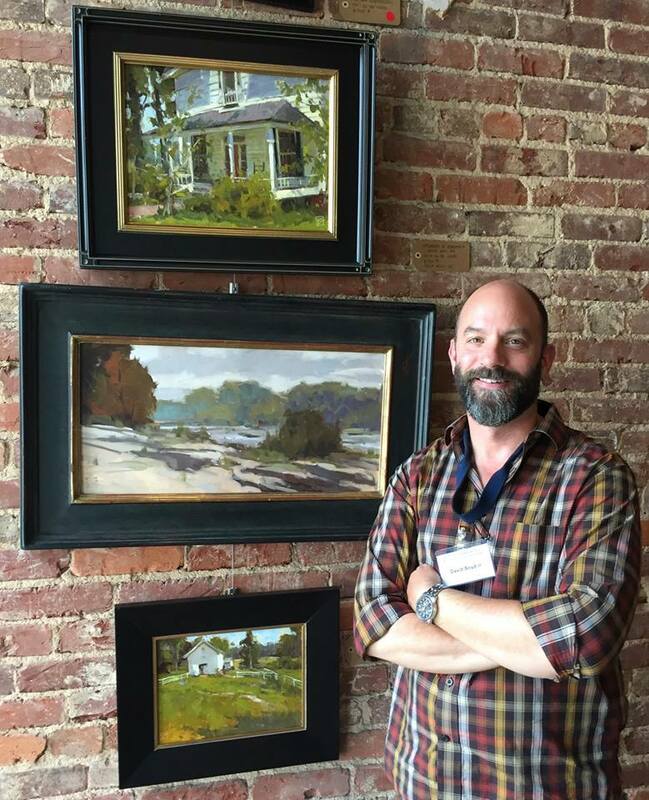 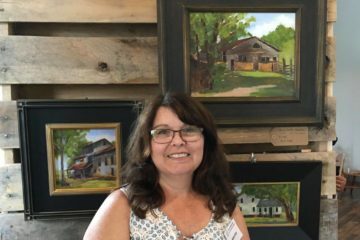 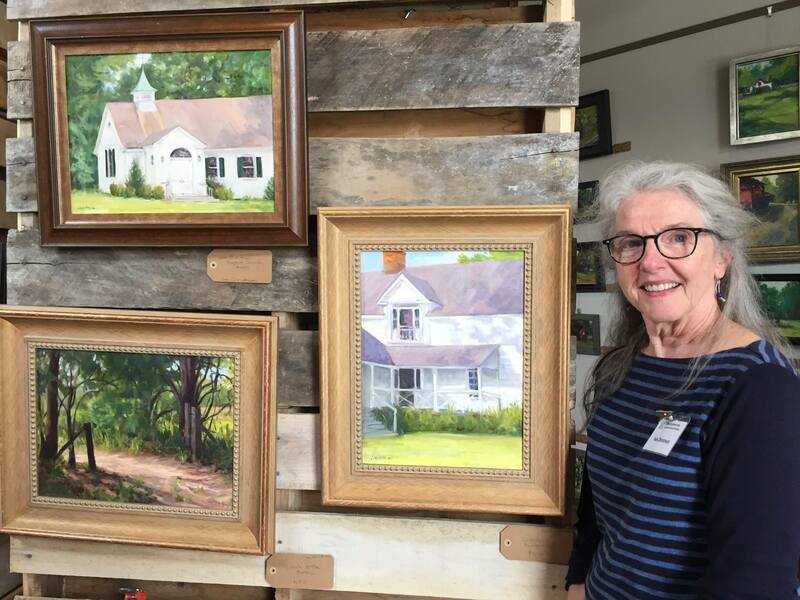 Artisans on the Square Gallery, along with Arts Meriwether, co-hosted the first Plein Air Event called Open Air Meriwether in the beautiful rural city of Greenville, GA and other small cities in Meriwether County. 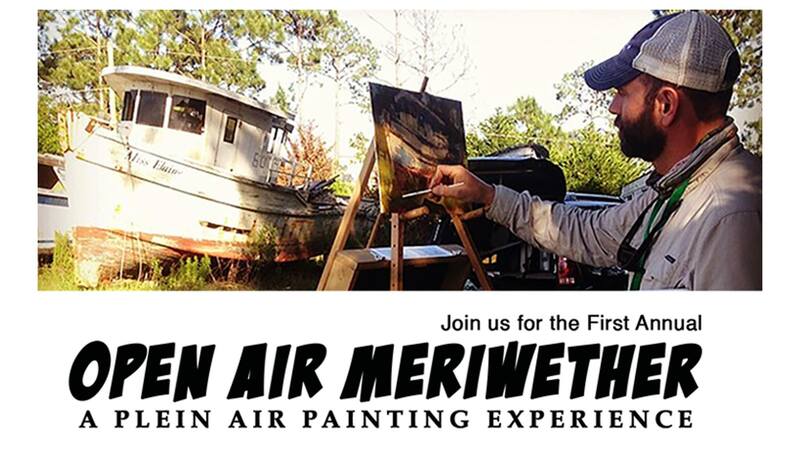 Just like the popular Art Event: Forgotten Coast in Apalachicola FL, the event invited fine artists from the State of Georgia to paint in different rural settings in Meriwether County. 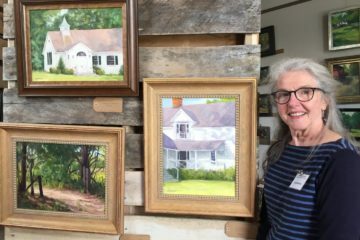 Eighteen professional artists painted for two days and the results were magnificent. 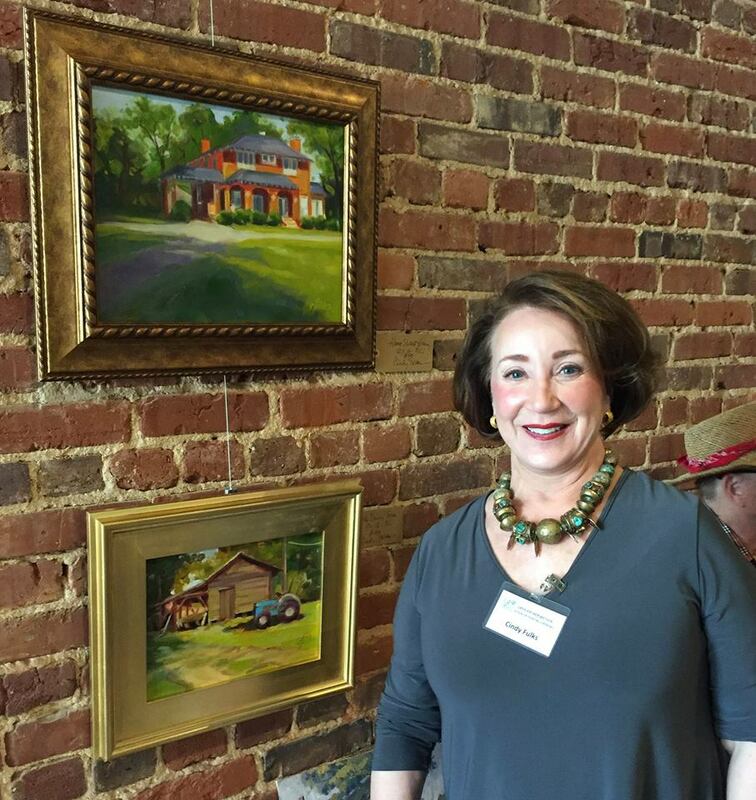 We had a great turn out at the closing reception on Sunday April 30th. 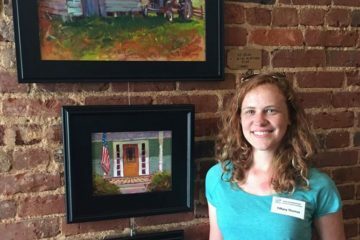 Everyone had a great time meeting the artists and talking about the creative process. 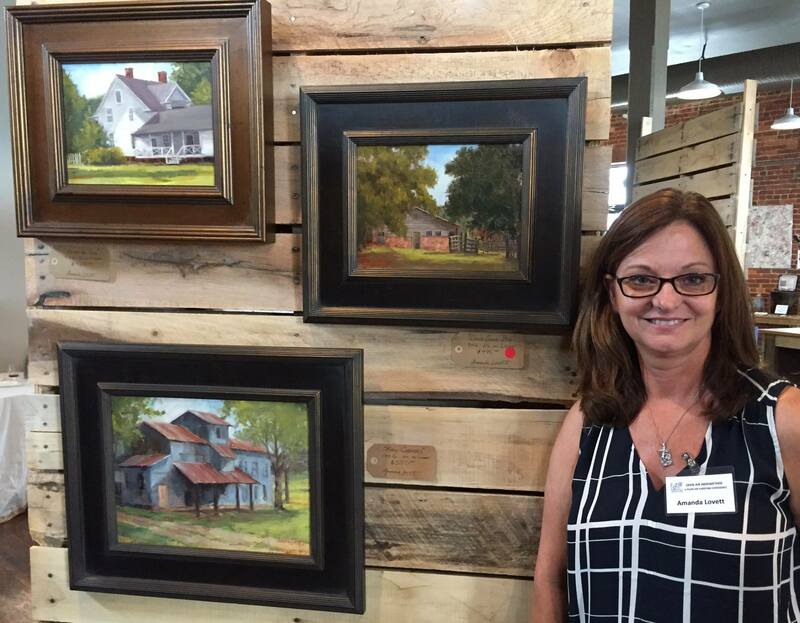 We also had sales, which is wonderful for the artists and Arts Meriwether. 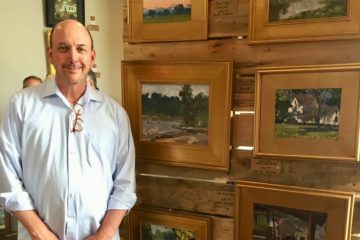 A portion of the sales revenue will be used to promote the arts and other creative events in the county. 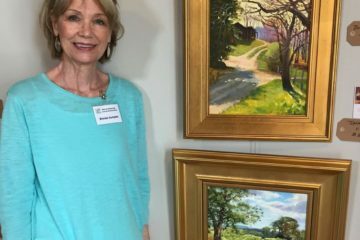 All the paintings will be displayed until June 15, 2017. 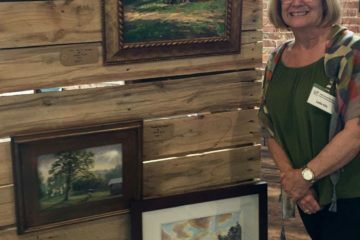 Come to the Fine Art Gallery: Artisans on the Square, located in Downtown Greenville and enjoy this wonderful exhibit. 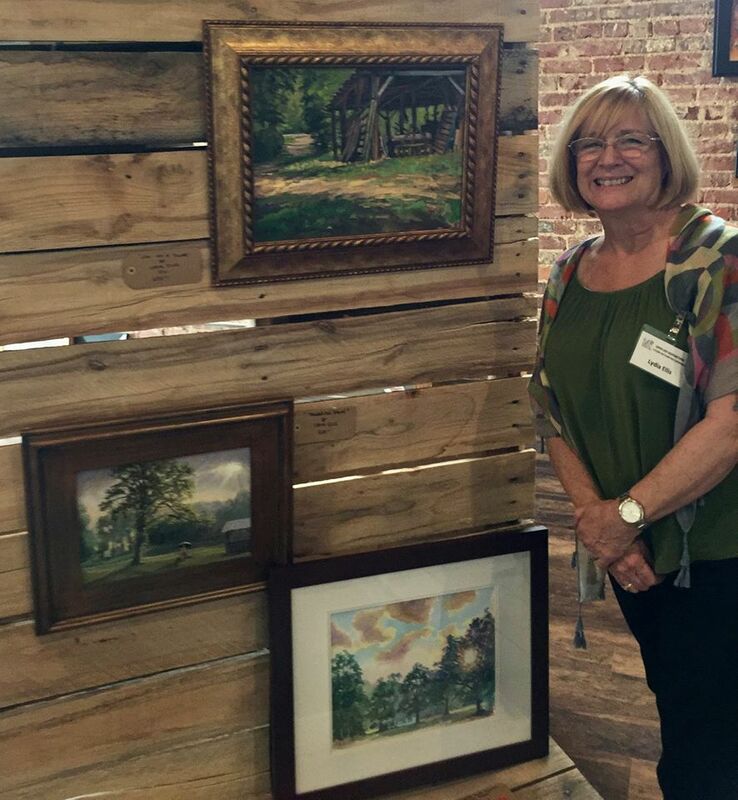 Our next show will be an amazing Yarn Art by our beloved local artist and retired teacher Annie Greene. 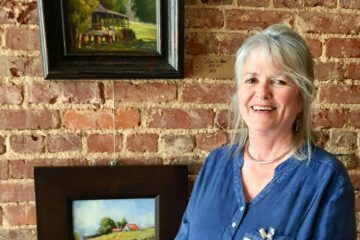 Come join us at Greenville, GA and visit the Print Shop Gallery and the Artisans on the Square, Fine Art.